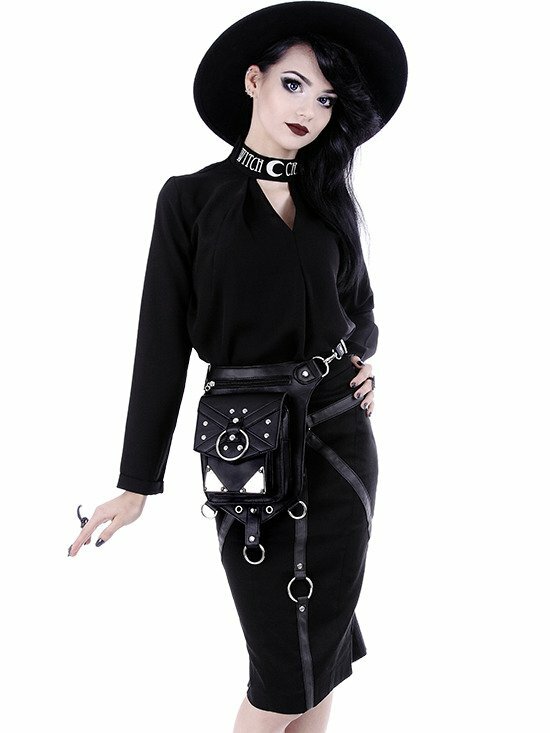 Black gothic hip bag with pockets,, pocket belt, harness bag, utility belt "X STRAPS HOLSTER BAG"
Belt made of vegan leather with old texture. smaller one with flap closed by magnet snap and the back one. 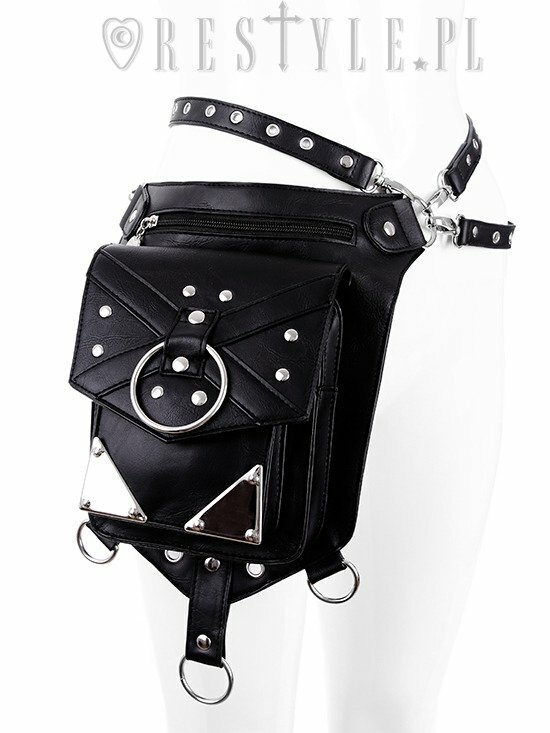 The main pocket is adorned with straps , big metal ring and metal corners. In the top corners there are two, big metal rings to attach adjustable straps. On the bottom there are additional hooks for shorter straps. 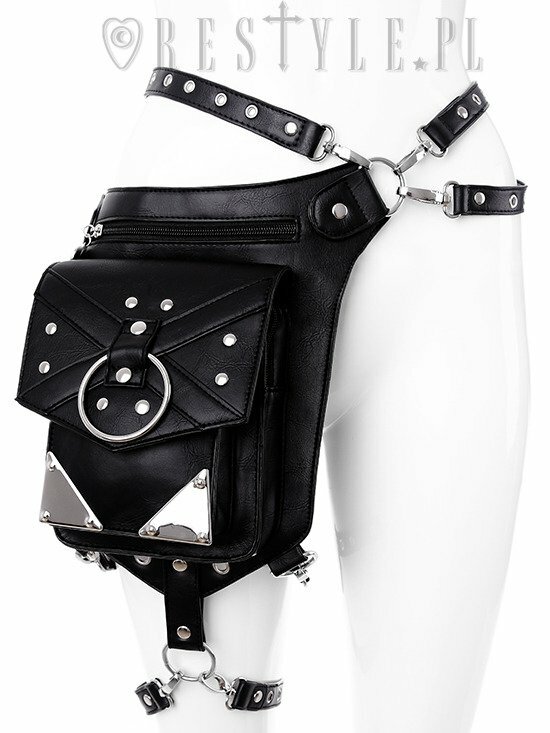 You can wear it on hips or on the shoulder as a regular bag, or even on the back as a small bacpack! Attached straps are entirely covered with gromets so it's totally adjustable! 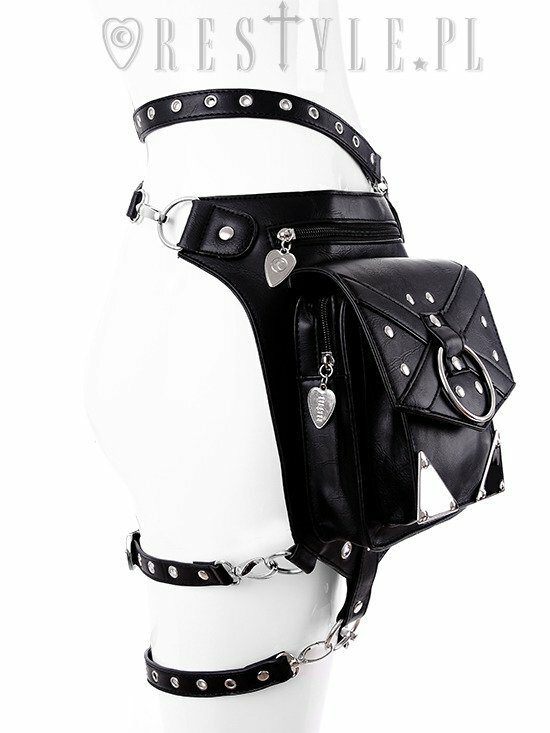 Great accesory for any gothic style lovers. It's very handy for concerts and festivals. Our unique design with Restyle branding.